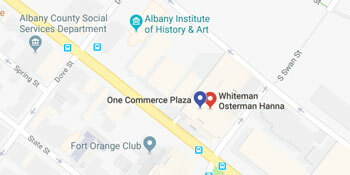 Attorney Brian M. Wang of Whiteman Osterman & Hanna LLP, a New York law firm, is devoted exclusively to the practice of immigration law. We provide high quality, innovative solutions to businesses and individuals throughout the U.S. and worldwide in a diverse range of complex immigration law matters. We help you accomplish your goals and secure your future, whether you are a multinational company transferring employees, a foreign investor starting a new enterprise, or an individual looking forward to reuniting with your loved ones. Contact us today to find out how our firm can help you achieve success. We appreciate that when you hire us to handle your immigration case, you are trusting us to help secure the future of your business, your education, your career, and your family.